Complement your stay with breakfast for two and save up to 20%. Reserve 24 | 7 Delight and save up to 20%. Enjoy an American breakfast for two on us each morning at Vida. Delight in a playground where you are free to play, shop, dine, spa, or simply relax – however you define a perfect day. 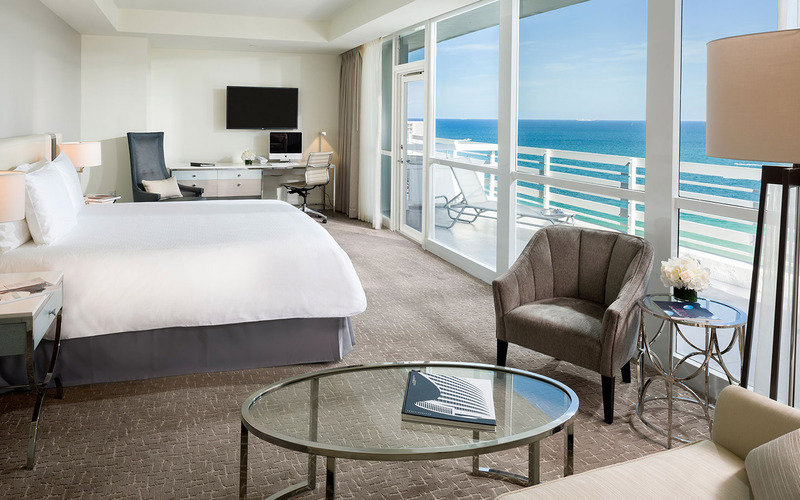 Soak up the Miami Beach weather and surrender to the warmth of the sun with a poolscape featuring ten unique pools and the Atlantic Ocean’s gently crashing waves. BOOK ONLINE OR CALL 800-548-8886 TERMS & CONDITIONS: Offer valid for two night stays or longer, on Deluxe room categories and above. Subject to availability, blackout dates may apply. Subject to change or cancellation without advance notice. A Hotel Fee of $32 plus tax per day, per room will apply to your booking. This fee includes: unlimited wireless internet access in guestrooms and at the pools, Gym access, one daily fitness class per reservation based on availability, beach chairs for all registered guests in party, portable phone chargers available throughout the property, local dialing and toll-free calls, access to refresh lounge, and daily newspaper.